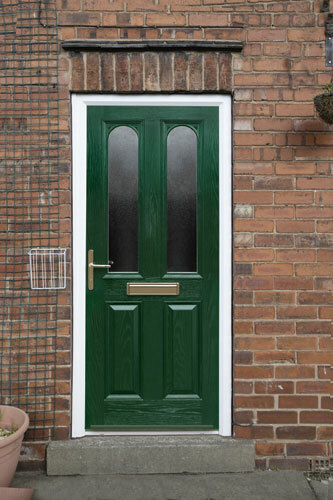 We offer a choice of two different size external door cills, the standard 150mm and the short 85mm stubb cill. 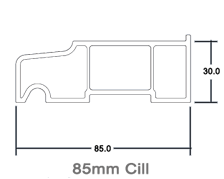 The size determines the projection from the front face of the frame at the bottom. 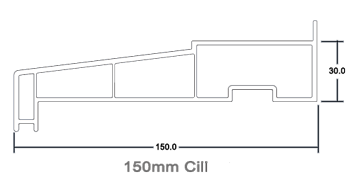 For example, a 150mm cill will protrude around 80mm from the bottom as 70mm sits underneath the threshold. 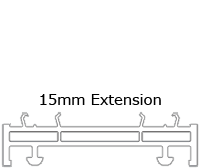 Both pvc cills are 30mm in height. 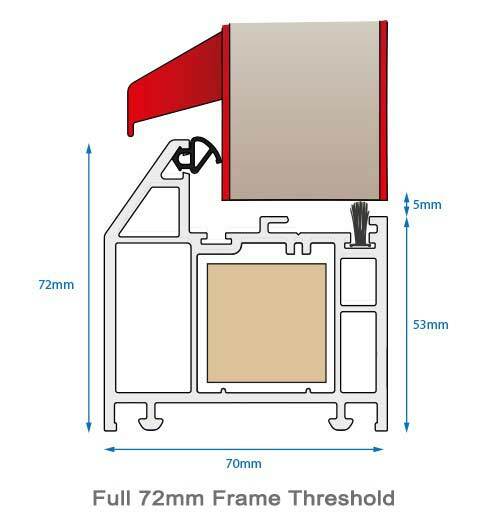 You have a choice of two thresholds, low 15mm aluminium and pvc 72mm full frame. 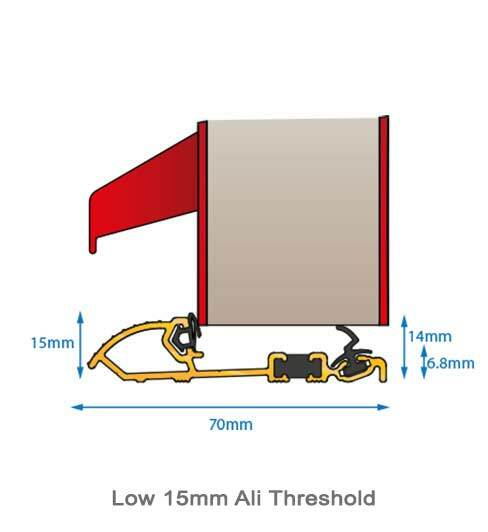 The low aluminium is just 15mm high and creates a low step over when your door is open. 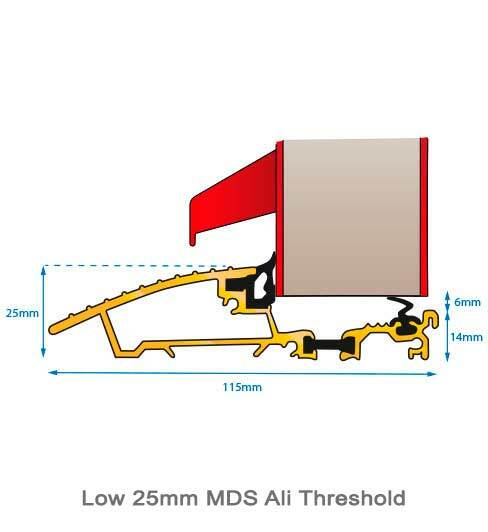 The low threshold is suitable for disabled and wheelchair access and is Part M compliant. It is also colour matched to the door frame. 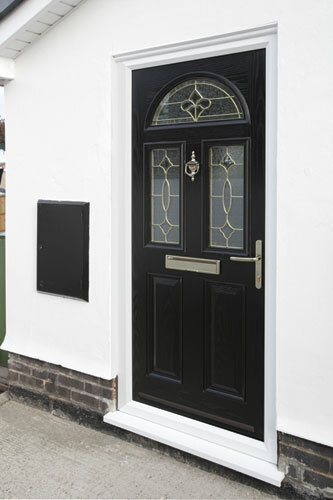 The pvc threshold means you will have a four sided door frame with the frame along the bottom, when your door is open you will have around 72mm of frame to step over. 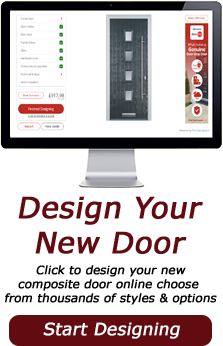 This provides the tightest and most thermally efficient weather seal as the door sits behind the frame on all four sides. 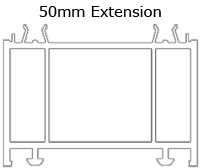 Depending on your choice of cill and threshold, you will need to ensure the door clears the internal floor when it is open. 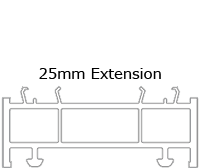 Extensions are available in 15mm, 25mm or 50mm sections and will be useful if the brickwork opening is larger than the maximum frame size we can manufacture. 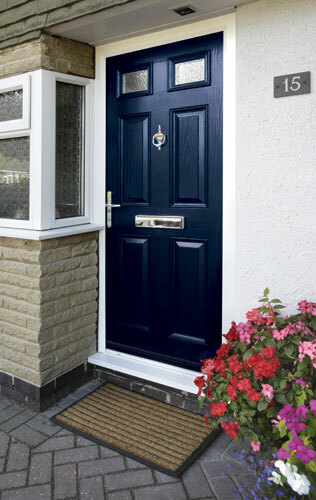 For example, you have an opening height of 2170mm and the maximum height we can manufacture a composite door with a cill and pvc threshold is 2159mm. 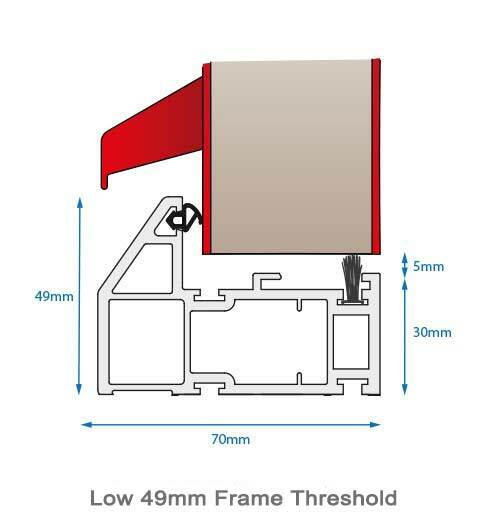 A 15mm extension will be required, we will reduce the frame height to 2155mm and add the 15mm extension - this achieves the desired height of 2170mm.